The Desert Island in Azerbaijan State Musical Theatre buy tickets online. Delivery of tickets for the event The Desert Island. For more than two centuries, Mariinsky Theatre has been hosting performances by true legends: Osip Petrov, the outstanding bass and the founder of Russian opera school has performed on this stage; Fyodor Chaliapin, Ivan Yershov, Medea and Nikolai Figner, Sophia Preobrazhenskaya and other iconic artists have honed their skills and leaped to fame in Mariinsky Theatre. Some of the greatest ballet dancers, including Mathilde Kschessinska, Anna Pavlova, Vaslav Nijinsky, Galina Ulanova, Rudolf Nureyev, and Mikhail Baryshnikov have shined and sparkled on this stage. George Balanchine has started his career in Mariinsky. Konstantin Korovin, Alexander Golovin, Alexander Benois, Simon Virsaladze, Fyodor Fyodorovsky, and many other brilliant set decorators were in their prime when they worked in Mariinsky Theatre. In 1988, Valery Gergiev has announced the principal conductor of Mariinsky Theatre, and on January 16, 1992, the theatre has restored its original name. In 2006, a Concert Hall on Pisarev Street, constructed upon the initiative of Valery Gergiev, the artistic and executive director of Mariinsky Theatre, was made available for the use by the theatre. In 2018, upon the initiative of Larisa Abisalovna Gergieva, the artistic director of The Mariinsky Academy of Young Opera Singers, the production of Joseph Haydn’s opera "The Desert Island" (L'isola disabitata) was launched. Haydn’s Baroque opera was staged with the participation of the Academy graduates and the story is set against the backdrop of carpet like the map, which in turn depicts the ill-fated island. 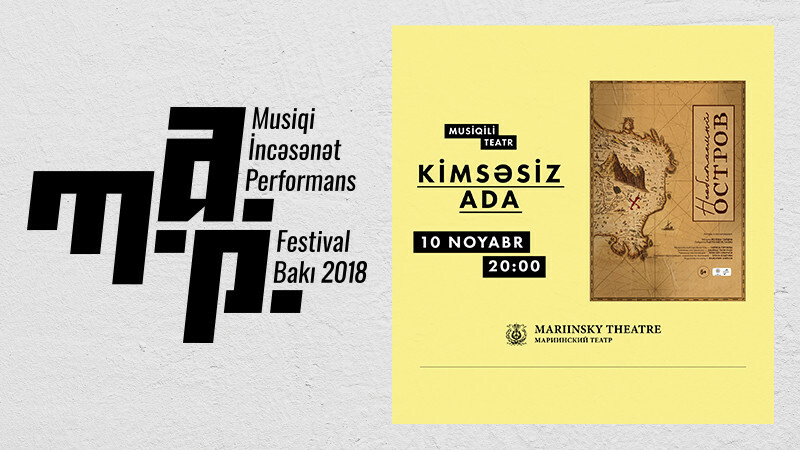 The production was directed by a young theatre director Alexei Smirnov with the support of the Heydar Aliyev Foundation and Maestro Music Azerbaijan. Our compatriot Javad Tagi-zade was appointed the chief conductor of L'isola disabitata and continues a glorious tradition set by maestro Niyazi decades ago.